There are many different types of files for jewelers and watchmakers. Each job may require a different type of file, so to ensure that you have the right files for the work you do, use this guide to help you choose the right file for you. Use for sharpening all sizes of chain saw teeth. This file maintains the proper tooth shape throughout extensive use. You will experience a fast, smooth cutting action creating an excellent finish. Manufactured by electro-plating diamond grains on blanks. They are used for finishing or sharpening hardened steel over 60 HRc or tungsten carbide. Versatile files for working on larger surfaces with higher pressure, but with the same precision of needle files. 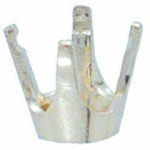 Use for mold making or working with precious metals. The square built-in handle is easy to hold and gives improved control without needing an additional handle. Also called Square Handled Needle Files with a length of cut varying from 3/4″ to 2-1/2″ and long, square handles. Compared to standard precision files, the Inox coating creates a greater surface hardness, longer service life and a surface corrosion free layer. they have a Rockwell Hardness of 70-72 and can file hardened tempered steel up to 60 HRc. Made to exacting tolerances, these high quality files are ideal for making ultra-fine modifications to metal parts. The knurled round handle gives the file a non-slip grip for precision filing. Various file types with raised individual cutting teeth suitable for use on wood, fiberglass, plastics and other soft metals. Originally used and hand forged by die sinkers, die makers, silversmiths, in shapes and cross sections appropriate to their work. Good for hard to reach surfaces and for detail finishing on molds, castings and engravings. Teeth are cut in small areas on each end and can have a variety of shapes. A long middle portion serves as the handle. Ideal for cleaning, smoothing and de-burring metals and plastics. 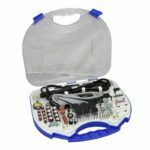 use to prepare surfaces for soldering, remove excess solders, open bezels. They are high performance tools with extremely sharp edges. 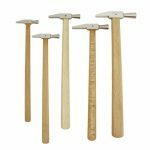 They can be resharpened on a bench stone and are mounted in hardwood handles. Compared to American Pattern Files (engineer’s files) Swiss Pattern files have marked tapering and smaller tips, sharp edges, strict dimensional and flatness tolerances and a higher, uniform hardness. No file should be used without a handle. Handles must be mounted properly on the tangs. After the right size handle is selected, slip it over the tang and gently force the file into the handle as far as possible. Then either tap the handle on the bench or while holding the handle, tap it with a mallet until the file is firmly secured. Never hammer or pound the point of a file to seat the tang into a handle. 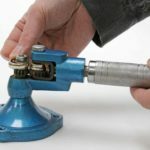 just as proper use prolongs the life of a precision file, so too does proper care. Don’t just toss them into a drawer or in a pile on the back of a bench. If you do, you will damage their fine, keen cutting teeth. As shown in the file finder chart (see below), each application calls for a different type of file. There is more to file selection that shape alone. The cut selected is equally important. Determination of cut depends on the type and form of material to be worked, the amount of material to be removed, and the finish desired. For example, rapid removal of stock often indicates a #00 cut, while working on narrow surfaces would suggest a #2 cut and final finishing might take a fine cut such as #4. File selection cannot be reduced to a formula or table but will be based to a great degree on experience and common sense. Auriform File: This is a die sinkers’ file with a cross section that combines 1/2 of a pippin file with 1/2 of a crossing file. 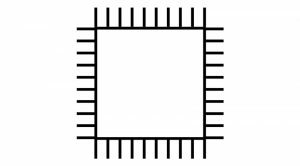 Back: In a half round, barrette, cant or files with similar cross section, this refers to the convex side of a file. 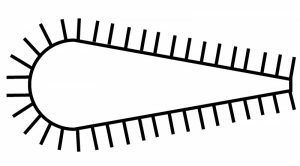 Barrette File: This file is cut on wide flat face, with safe sides and back. It is tapered in width and thickness. Blank: This is a steel forging from which a file is made. It is also the basic shape of a file before teeth are cut or etched. Cant File: This file is triangular in cross section and one side is wider than the other two. It can cut on three sides and is tapered. 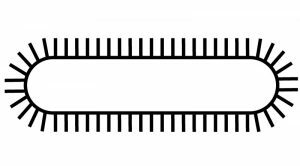 Checkering File: This file is rectangular in cross section, and parallel in both width and thickness. The teeth cut at a 90° angle with the edge. The edges are safe. Chisel Cut: A method of cutting teeth into the surface of an annealed file blank by striking it with a series of repeated blows as the blank is moved beneath a chisel at a uniform speed. In the cutting operation, the chisel is placed obliquely to the length and is inclined to the surface of the file. This is done either by hand or machine and is generally used to produce files of No. 2 cut and coarser. Crochet File: This file is rectangular in cross section with rounded edges. It is cut on both faces and edges and it is tapered in length and slightly tapered in thickness. 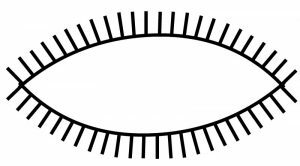 Crossing File: This file has an oval cross section with the same radius as half round files on one side, and a larger radius on the other curved side. It is cut on both sides and tapered in width and thickness. 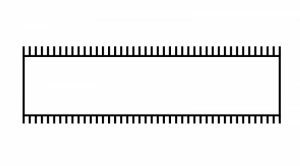 Cut: This is the number of teeth per inch and the degree of coarseness of a file’s teeth: from No. 00 to No. 8 in Swiss precision files. This is also used to describe the type of file such as single cut or double cut, etc. Die Makers’ Rifflers: These are various cross sectional shapes. The teeth are cut on a small area of each end of a blank leaving a long middle portion as a handle. The cut ends are of various designs and the length provided is the overall length. It was originally designed and hand forged by die makers for their specific purposes, and now it is a generic term for this particular group of rifflers. Die Sinkers’ Files: This is a group of files with various cross sections that were designed for use by die sinkers and tool makers. They are tapered in width. Die Sinkers’ Rifflers: Very similar to the Die Maker’s rifflers, see those for more information. 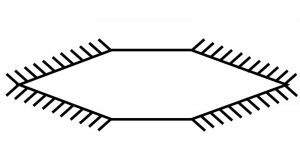 This group of rifflers has smaller cross sectional shapes. 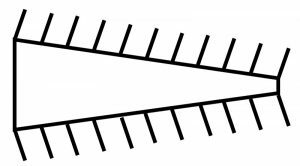 Double Cut: The arrangement of file teeth that is formed by two series of cuts. The first series is the overcut, followed by the second series that is upcut at an angle to the overcut. Edge: This refers to the narrow cross section or side of a file. Equaling File: This file has a thin rectangular cross section, and is parallel in width and thickness. It is cut on both faces and edges. 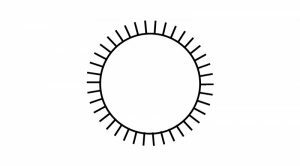 Escapement File: This file is also called a Square Handled File. It is a group of files with various cross sectioned shapes and a length of cut varying from 3/4 to 21/2″. They generally have long square handles and are widely used by jewelers, watch makers, die makers, and fine mechanics. Etched Cut: This is a method of cutting teeth into the surface of a file blank by drawing an etching tool, under sustained pressure, obliquely across an annealed file blank in a series of cuts. This may be done either by hand or machine. This method of cutting is used when it is necessary to retain the true cross section of a file. It is generally used to manufacture files finer than a No. 2 cut. Face: The working surface of a file upon which teeth are cut. Filing Block: This is a block of wood, soft metal, or other material that is used to protect the material that you are filing from being damaged by the jaws of a vise or other holding device. It may contain a series of grooves to hold work securely. Flat File: This is also called a Warding File. It is a form of escapement or square handled needle file. It is parallel in thickness, cut on four sides, and tapered in width. Handle: This is a wood for plastic piece that is placed over that tang of a file to protect the hand of the user. Half Round File: This file has a cross section that is flat on one side and has a half circle radius on the other side. It is cut on both sides and both the width and thickness taper. Half Round Slim File: This file is also called a Ring File. It is the same as half round file, except thinner in width. Heel: The end of the file where the body of the file ends and the taper leading into the tang begins. It is also called the shoulder. Joint File, Round Edge: This file has a rectangular cross section with rounded edges. It is cut on edges only and is parallel in width and thickness. 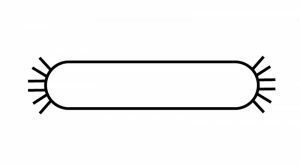 Joint File, Square Edge: This file has a rectangular cross section. It is cut on edges only and is parallel in thickness and width. Knife File: This file has a knife shaped cross section that is tapered in width and thickness. The edge has same thickness from point to shoulder. Length of Cut: The length of a file measured between the shoulder or heel and the point. 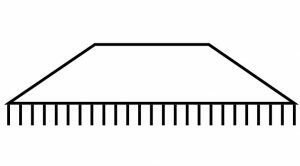 Lozenge File: This file has a diamond shaped cross section that is parallel in width and thickness. Needle File, Square Handled: This file is also called an Escapement File. This group of files with various cross sectional shapes, a length of cut varying between 3/4 and 2 1/2″ and long square handle. Needle File, Round Handled: This group of files has various cross sections with a knurled round handle. The knurling gives the file a positive, non-slip grip for precision filing. Oval File: An oval cross section tapering in width and thickness. Overcut: This is the first of a series of cuts in a double cut file. Its function is to act as a chip breaker. The second, or upcut, is made over this cut. 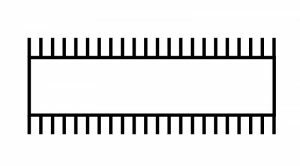 Parallel Round File: A file with a round cross section that is parallel in width. Pillar File: This file has a rectangular cross section with thickness greater relative to its width, than in other files. It is cut on the face, or flat sides, only. It is parallel in width and tapered in thickness. It is available in demi-narrow, narrow and extra narrow widths. Pin or Pinning: This is the tendency of small particles of materials to fill or clog the gullets between the teeth of a file. When the teeth become clogged, the file can and will scratch the work, when this occurs, the file is pinned. 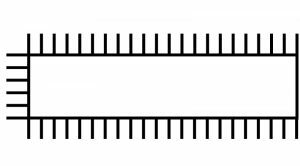 Pippin File: This file has a section that combines the cross section of a round file with that of an equaling file. It is tapered in thickness and width. Point: This is the front end of a file as contrasted with the tang end. Pointed Back Barrette File: This file has a triangular cross section with one side that is wider than the other two sides. On the wide or face side, it is only tapered in width and length. Rasp Cut: A cut that is used on wood rifflers. It is made by using a punch to raise a series of individual cutting teeth. Rifflers: This file was originally used and hand forged by die sinkers, die makers, silversmiths and other skilled artisans in shapes and cross sections appropriate to their work. The teeth are cut on small areas on each end that can be shaped like everything from trowels to button hooks. A long middle portion serves as a handle. Ring File: This file is also called a Half Round Slim File. Round File: This file is round in cross section and tapered in width. Rounding-Off File: This is an escapement or square handled needle file. It is half round in cross section, cut on the flat side, and parallel in width. Safe: This term refers to the side or edge of a file that has no teeth cut in it so as not to mar a work surface that does not require filing. Screw Head File: This file is a narrow diamond shaped section with short bevels that form sharp edges. It is cut on beveled edges, safe on flat sides, and parallel in width and thickness. Section: This is the cross section or end view of a file, if it were cut squarely at the place of greatest width and thickness from the tang. Silversmith’s Rifflers: This is a group of various cross sectioned file shapes that were originally designed for use by silversmiths. The teeth are cut on small areas of each end, leaving a long middle portion as a handle. The cut ends are of varied designs. Single Cut: The tooth formed on a file by a single series of cuts. Slitting File: This file has a flat diamond shaped cross section. It is cut on all sides and is parallel in width and thickness. Square File: This file is square in cross section, cut on all sides, and tapered. Swiss Pattern Files: These files made to the same shape and cut as the files designed by F. L. Grobet in Switzerland over 150 years ago. They come in cuts from No. 00 to No. 6. Swiss Precision Files: The original Grobet-Swiss files that have since been made in hundreds of sizes, shapes, and cuts from No. 00 to No. 8. They are made to more exacting measurements and much finer cuts than American pattern files. Tang: This is the part of the file that tapers from the shoulder. It is intended to be fitted with a handle. 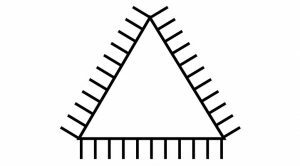 Three Square Files: These files are equilaterally triangular in cross section. They are tapered and are cut on all sides with sharp corners. Tool Makers’ Rifflers: These files come with various cross sectional shapes and teeth are cut on a small area at each end leaving a long middle portion as a handle. The cut ends are of various designs to meet the needs of tool makers. Upcut: The second series of teeth cut in double cut files. It is made over the first series of cuts, called the overcut. This cut is made of an angle to the overcut. Warding File: This file has a rectangular cross section with teeth cut on all sides. It is similar to a flat file, but thinner to fit in small places. It is tapered width and parallel in thickness.